Constantius then hurried east to Antioch to resume the war with Persia. While Constantius was away from the eastern frontier in early 337, King Shapur II assembled a large army, which included war elephants, and launched an attack on Roman territory, laying waste to Mesopotamia and putting the city of Nisibis under siege. Despite initial success, Shapur lifted his siege after his army missed an opportunity to exploit a collapsed wall. When Constantius learned of Shapur's withdrawal from Roman territory, he prepared his army for a counter-attack, drilling them. 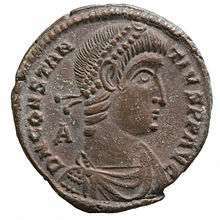 However, on account of the immediate Sassanid threat, Constantius was unable to directly respond to his cousin’s usurpation, other than by sending missives in which he tried to convince Julian to resign the title of Augustus and be satisfied with that of Caesar. 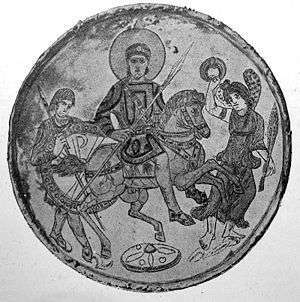 By 361, Constantius saw no alternative but to face the usurper with force; and yet the threat of the Sassanids remained. Constantius had already spent part of early 361 unsuccessfully attempting to re-take the fortress of Ad Tigris. After a time he had withdrawn to Antioch to regroup and prepare for a confrontation with Shapur II. The campaigns of the previous year had inflicted heavy losses on the Sassanids, however, and they did not attempt another round of campaigns that year. This temporary respite in hostilities allowed Constantius to turn his full attention to facing Julian . 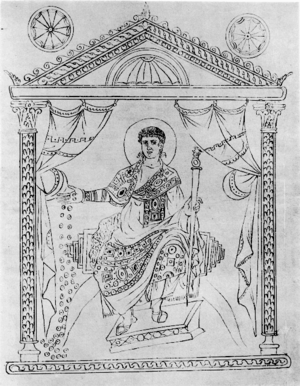 In spite of some of the edicts issued by Constantius, he was not fanatically anti-pagan – he never made any attempt to disband the various Roman priestly colleges or the Vestal Virgins, he never acted against the various pagan schools, and, at times, he actually made some effort to protect paganism. In fact, he even ordered the election of a priest for Africa. Also, he remained pontifex maximus and was deified by the Roman Senate after his death. His relative moderation toward paganism is reflected by the fact that it was over twenty years after his death, during the reign of Gratian, that any pagan senator protested his treatment of their religion. 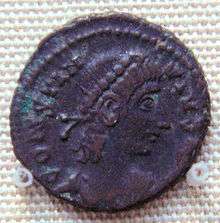 Constantius II is a particularly difficult figure to judge properly due to the hostility of most sources toward him. A. H. M. Jones writes that Constantius "appears in the pages of Ammianus as a conscientious emperor but a vain and stupid man, an easy prey to flatterers. He was timid and suspicious, and interested persons could easily play on his fears for their own advantage." 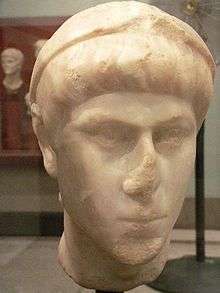 However, Kent and M. and A. Hirmer suggest that Constantius "has suffered at the hands of unsympathetic authors, ecclesiastical and civil alike. To orthodox churchmen he was a bigoted supporter of the Arian heresy, to Julian the Apostate and the many who have subsequently taken his part he was a murderer, a tyrant and inept as a ruler". They go on to add, "Most contemporaries seem in fact to have held him in high esteem, and he certainly inspired loyalty in a way his brother could not". 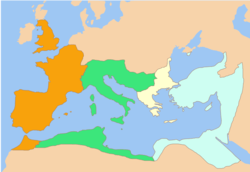 In the military sphere, the campaigns of Constantius and his subordinates on the Rhine and Danube frontiers in the late 350s restored stability to those regions after the troubles caused by Magnentius' revolt. ↑ In Classical Latin, Constantius' name would be inscribed as FLAVIVS IVLIVS CONSTANTIVS AVGVSTVS. ↑ X. Lucien-Brun, "Constance II et le massacre des princes," Bulletin de l'Association Guillaume Budé ser. 4 (1973): 585–602; Joe W. Leedom, "Constantius II: Three Revisions," Byzantion 48 (1978): 132–145, and Michael DiMaio and Duane Arnold, "Per Vim, Per Caedem, Per Bellum: A Study of Murder and Ecclesiastical Politics in the Year 337 A.D," Byzantion, 62(1992), 158ff. Cited in DiMaio and Frakes. 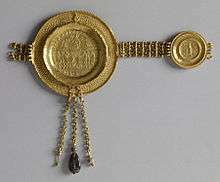 ↑ "Belt Section with Medallions of Constantius II and Faustina". The Walters Art Museum. ↑ The manuscript of Ammianus Marcellinus, Res Gestae 21.15.2 reads tertium nonarum Octobrium, which is the equivalent of 5 October. The latest editor of the Res Gestae accepts Otto Seeck's emendation tertium nonarum Novembrium which is the equivalent of 3 November. T.D. Barnes (Classical Philology, 88 , p. 64f) provides indirect evidence showing 3 November is a better fit. ↑ Jones, A. H. M., Later Roman Empire, p. 116. Davies, Iolo, trans. Itinerary of Alexander. 2009. Online at DocStoc. Accessed 15 August 2009. The Abinnaeus Archive: Papers of a Roman Officer in the Reign of Constantius II (in Greek). Duke Data Bank of Documentary Papyri. Online at Perseus and the Duke Data Bank. Accessed 15 August 2009. Dai Papiri della Biblioteca Medicea Laurenziana (in Greek). Duke Data Bank of Documentary Papyri. Online at Perseus and the Duke Data Bank. Accessed 15 August 2009.